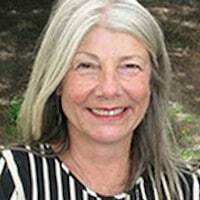 Sara is a Psychodramatist, Trainer Educator Practitioner (TEP) and delivers training in Christchurch and Dunedin in Aotearoa New Zealand through – Christchurch Institute of Training in Psychodrama (CITP). She is also a visiting trainer to the Brisbane Campus of Psychodrama Australia. Sara is a Registered Psychotherapist with the Psychotherapy Board of Aotearoa New Zealand (PBANZ) and has an Advanced Clinical Practice Certificate with the New Zealand Association of Psychotherapists (NZAP). She has worked in private practice as a psychotherapist since 1989 and sees a wide range of clients including individuals, couples, families (both with children and adult families) and children. She also supervises and trains people in these areas. She was instrumental in setting up a community service for children and families to heal from sexual abuse and remains involved in this work. She continues to be involved with community groups in a number of roles. She is a mother, step mother, granny and honorary aunty in a big family who all live in Christchurch, Aotearoa New Zealand. She farms a small herd of llamas and hosts social dining events at her home. These relationships and hobbies sustain her work with trauma and challenging clients. She continues to be involved with earthquake recovery and the re-build of Christchurch communities.